We provide Arkansas and Oklahoma homeowners with expertly installed, top-rated entry, patio, and storm doors. A door welcomes visitors, keeps out intruders, boosts curb appeal, and can even improve the energy efficiency of your home. 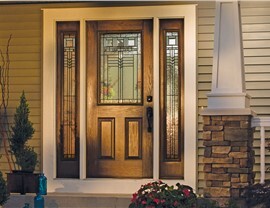 Since 1982, Community Builders has offered high-performance doors that check every box for both style and performance. Our quality replacement doors, combined with expert installation techniques, make us the smart choice for homeowners who are looking for a replacement door contractor. 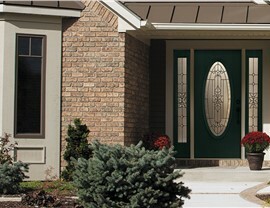 Our entry doors are beautiful and loaded with impressive security and energy-efficient features. Maximize curb appeal by choosing from a tempting selection of styles and colors. You’ll also have the option of adding decorative glass for a custom look. Our doors don’t just look good—they can also help trim your heating and cooling bills. An airtight fit and high-performance insulation will help keep your Arkansas or Oklahoma home cooler in summer and warmer in winter. What patio doors do you offer? Your backyard is an extension of your living space, so it deserves a beautiful portal. Our patio doors are available in configurations to suit any home. Whether you love the simplicity of a sliding door or the elegance of French doors, we have options that provide the look you want along with the features that are most important to you. When you install a storm door, you’ll be able to leave your front door open and flood your home with natural light while safely enjoying the view from inside. A quality storm door will also protect your primary door from weather damage and help to further enhance your home’s overall energy efficiency. We only install top-rated storm doors that provide the performance you expect and that are covered by industry-leading warranties. 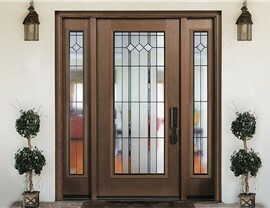 Proper door installation is every bit as important as choosing a quality product. Our door specialists have the training and experience they need to provide a flawless installation of your new entry, storm, or patio door. Our door installers are certified, courteous, and never leave a mess behind. Our goal is to ensure you receive exceptional service as well as a perfect installation. 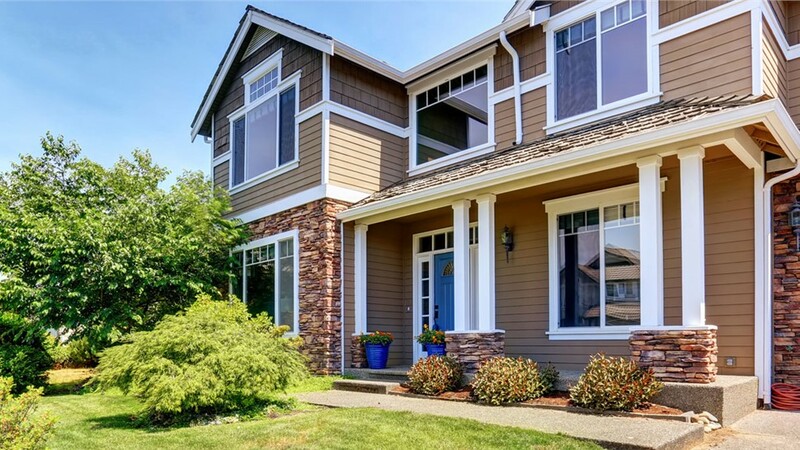 Whether you’re looking for an eye-catching entry door to provide that pop of color and aesthetic flair or you’d prefer the pragmatic security of a storm door to protect your home from the elements, Community Builders will deliver your perfect solution! For 30 years, our builders have served communities throughout Tulsa and Oklahoma with BBB-accredited craftsmanship, accommodating project management and communication, and of course, stellar home transformations!